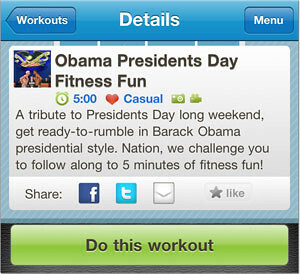 Do the ‘Obama Presidents Day Fitness Fun’ workout with Skimble’s Workout Trainer iPhone app – free! Happy Presidents Day! 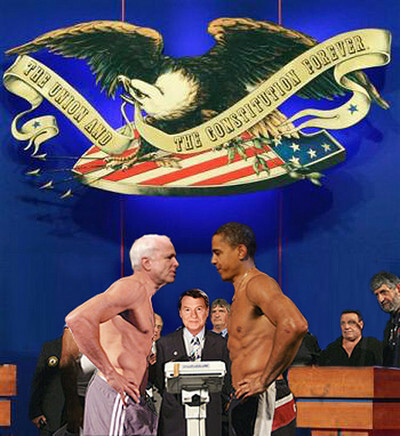 Do your country a favor and get ready-to-rumble in Barack Obama presidential style. We challenge you to be a fit citizen and do our new, feel-good 5 minute ‘Obama Presidents Day Fitness Fun‘ workout. It’s time to hustle! This audio workout is brought to you for free for a limited time in the Skimble Workout Trainer iPhone app. This entry was tagged barackobama, fitness, fun, iphone, iphoneapp, obama, president, presidentsday, skimble, workouts, workouttrainer. Bookmark the permalink. Who’s Kim? The new and free Digital+ Coach in Skimble’s Workout Trainer iPhone app. Listen to her!